Anuria means cessation of urine output less than 50 milliliters a day, sometimes called anuresia, is no passage of urine. Anuria may result from severe disease of or inadequate blood flow through kidneys, or a complete blockage of urine flow by anything such as stones or tumors that blocks both ureters or the bladder outlet, or obstructs the urethra by enlargement of prostate gland. It may also occur with end stage renal disease. It’s often caused by failure in function of kidneys. Anuria is an emergency needing, urgent investigation so that it’s cause can be discovered and corrected, if possible. Otherwise renal DIALYSIS [artificial filtering of waste products and water from the blood] must be used to prevent death from accumulation of waste products. Failure of kidney or proper functioning, certain medications or toxins or may be the reason of diabetes, high blood pressure. Stones or tumors in the urinary tract can also cause it by creating an obstruction to urinary flow as high blood calcium or uric acid can contribute to the risk of stone formation. In males, an enlarged prostate gland is a common cause of obstructive anuria. Anuria itself is a symptom not a disease. It is often associated with other symptoms of kidney failure such as lack of appetite, weakness nausea and vomiting. These are mostly the result of buildup of toxins in the blood which would normally be removed by healthy kidneys. Acute anuria, where the decline in urine production occurs quickly, is usually a sign of obstruction or acute renal failure. It could happen by factors not related to the kidney, but others as heart failure, mercury poisoning, infection, and other conditions that cause the kidney to be deprived of blood flow. These are mostly the result of buildup of toxins in blood which would normally be removed by the healthy kidney. In TriOrigin energy concept, it means excess Yang Coldness condition but gradually approaching towards the Darkness condition, as non-production of urine! 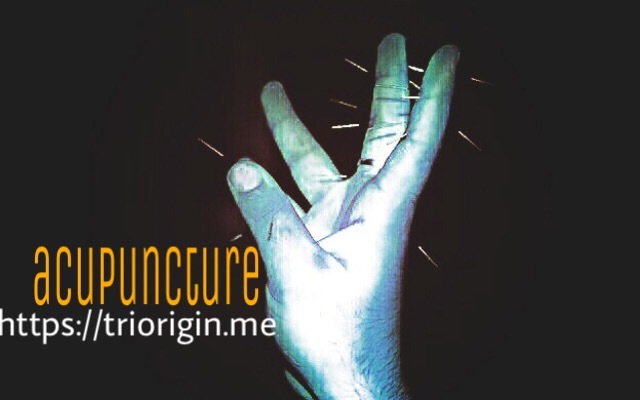 One may get the positive results even from the initial few sessions of acupuncture on miniature form of hands as energy may penetrate even at core levels. It involves inserting of very fine micro needles into specific ‘energy pathways’ located in miniature form of hands and feet’s that too 1mm just to prick on certain energy pathways to unblock the natural flow of light energy (qi or chi). It is observed that blocked qi is thought to cause disease, and unblocking the qi flow allows the body to heal of its own. It seems unbelievable but true in an effective way that too without any medications. One who is affected must give a thought. Think, believe and act! Meanwhile, may put color dot as prescribed to support in syndrome! Previous Previous post: SYNCOPE in deficiency state and micro acupuncture! Next Next post: ANEMIA and color acupuncture! Awsome site, thanks for all the info it was real helpful. Thanks to doctor Dinesh Kapur for his indepth knowledge to overcome the problem in an effective way. How awesome, color acupuncture did unbelievable results!